Home/Archive by Category" Dental Choice"
In Badditives! The 13 Most Harmful Food Additives in Your Diet and How to Avoid Them, Linda and Bill Bonvie, who for several years wrote the Citizens for Health “Food Identity Theft” blog, identified a rogues’ gallery of the “worst of the worst” ingredients out there. We were fortunate to be able to bring you selections below from this important book. The Bonvies have graciously agreed to provide further insights and information about the dangers lurking in our food and beverages. Check out The Bonvie Blog here. In some respects, the saga of recombinant bovine growth hormone, or rBGH (also known as rBST) appears to be a tale of a Monsanto-made Badditive – the predecessor to those GMOs – that finally got its comeuppance. As we found out, that’s not always an easy question to get an answer to. That’s because the use of rBGH has never been officially banned in the United States (even though it has in many other countries). Since there’s no requirement that its presence be announced, it’s not something you can look for on an ingredient label, although you can find dairy products that state they are produced from rBGH-free cows. The FDA approval was one based on two rat studies submitted by Monsanto, one that lasted four weeks and the second three months, in which the animals were fed rBGH to see if it affected their gastrointestinal systems. In both cases, it was said to have had no effect, a conclusion that Dr. Hansen has disputed. While it may have temporarily boosted the bottom lines of some dairy farmers (along with Monsanto’s), the use of rBGH also raised fears among leading scientists and watchdog groups that it was subjecting Americans to some new and wholly unnecessary risks, especially given that children are the prime consumers of milk in this country. As consumer advocate and author Robyn O’Brien pointed out in a 2015 blog, a recent study published in the Journal of Allergy and Immunology found that milk is now the most common food allergy trigger in the US, having achieved that distinction in the last decade.267 Coincidence? 259. Robin, Marie-Monique, The World According to Monsanto (New York: The New Press, 2010), p. 91. 264. Robin, op. cit., pp. 97, 98. 267. Robyn O’Brien, “Dirty Dairy: Why Breyers’ Ice Cream Dumped Artificial Growth Hormones”, 2015, http://robynobrien.com/dirty-dairy-why-breyers-ice-cream-dumped-artificial-growth-hormones. Consider for a moment the cost in human lives of three of the best-known tragedies of modern times. When the luxury liner Titanic sank in the North Atlantic in 1912 after hitting an iceberg, the official tally of passengers and crew members who died was 1,517. Japan’s December 1941, attack on the American fleet in Pearl Harbor killed some 2,402 people all told, including several dozen civilians. When the United States was attacked by terrorists on September 11, 2001, the death toll, which included people inside the World Trade Center, the Pentagon, and the four hijacked airliners, was put at 2,996. When combined, the total number of people who perished in those three catastrophic events was 6,915. Now, add another 85, and you’ve got the approximate number of Americans said to be dying every year in an ongoing disaster of a far different sort—the great trans fat tragedy. These are the hidden victims of the industrial trans fats found in partially hydrogenated oils, or PHOs, which are oils that have been solidified via an infusion of hydrogen gas. Such oils have long been routinely added to a variety of processed foods to improve their texture and “flavor stability” and prolong their shelf life—even as they cut short the lives of those consuming them. Of course, what makes the trans fat tragedy different is that it strikes people down one by one, with neither media coverage nor even any formal recognition of the real, underlying cause of their demise. While a victim’s death certificate might attribute their passing to “coronary artery disease,” for example, it won’t mention those boxes and boxes of Girl Scout Cookies they consumed, which listed “partially hydrogenated oil” among their ingredients. In fact, the pending prohibition on the further use of PHOs in grocery items has actually been a long time coming—and it hasn’t come easy, by any means. 230. Sabrina Tavernise, “F.D.A. Sets 2018 Deadline to Rid Foods of Trans Fats,” New York Times, June 2015, http://www.nytimes.com/2015/06/17/health/fda-gives-food-industry-three-years-eliminate-trans-fats.html. 232. Sarah McClelland et al., “Conjugated linoleic acid suppresses the migratory and inflammatory phenotype of the monocyte/macrophage cell,” Atherosclerosis, July 2010, http://www.atherosclerosis-journal.com/article/S0021-9150(10)00101-2/abstract. …It wasn’t until the couple’s oldest son suggested they read a book published the previous year by George Schwartz, MD called In Bad Taste: The MSG Syndrome that the cause of Jack’s sudden affliction became obvious. Right there, on the cover, was the same tuna fish Jack had been eating every day for lunch. What all of these foods have in common is that their taste is artificially enhanced. In a sense, they can be compared to athletes who use performance-enhancing drugs to artificially boost their scores. But whereas the practice of “doping” in sports is considered cheating, no such stigma is attached to the use of flavor enhancers to turn a cheap recipe or unenticing product into a “taste sensation” (as illustrated by a jingle for the standard supermarket brand of monosodium glutamate: A little Accent, like a little love, surely helps.”) While those who use anabolic steroids, human growth hormone, and other doping agents are usually aware of the risks involved, countless consumers who are being exposed every day to MSG in its various forms have no clue about the dangers these ingredients might pose to their health. *A scan of tuna fish cans in our local supermarket showed that HVP no longer seems to be used as an ingredient; however, “vegetable broth,” which may be a source of MSG, can now be found in some caned tuna products. 198. Adrienne Sanuels, The Man Who Sued the FDA, 2013, pp. 1-3. 200. Broadwith, Phillip, “Glutamate”, Royal Society of Chemistry, June 2011, http:www.rsc.org/images/IC0411-glutamate-food_tcm18-233514.pdf. Back in 2012, an ABC news lead story about Pink Slime (called in the industry by the more appetizing name “finely textured beef”) struck a chord of disgust in the meat-eating public. Petitions were formed to get the substance out of the school lunch program, and celebrity chef Jamie Oliver conducted pink slime demos where he put beef scraps in a washing machine and then soaked them in ammonia and water. Right before the slime hit the fan, however, ABC news affiliates spilled the beans about another underground meat practice. It was the use of an enzyme called transglutaminase, or, as it’s more commonly referred to, meat glue. Now, even though meat glue has the potential to be a lot more hazardous to your health than pink slime, for some reason, the public couldn’t quite seem to wrap its head around it in the same way. While some stories appeared in the press at the time, there were no petitions or consumers calling on the FDA or USDA to do something about it. In fact, some big-name chefs even came out in praise of meat glue. However, even if you’re dining at an elegant establishment like wd~50, you may want to think twice about eating “glued” food. That’s one of the problems with this stuff – the appearance of food in which it has been used can definitely be deceiving. 189. Lily Mihalik, “A Fish Without Bones: The rise of meat glue,” June 2011; http://meatpaper.com/articles/2011/mp_fifteen_meatglue.html. High Fructose corn syrup, or HFCS, first began showing up as a food and beverage ingredient more than three decades ago for reasons that had nothing to do with health – and everything to do with food industry profits. As cane sugar prices began rising, largley due to quotas and tariffs, the cost of government-subsidized corn started falling. This just happened to coincide with a strange new sweetener, one much cheaper than sugar, that was then becoming available. The sweetener was the sort of concoction that could have come out of a mad scientist’s laboratory. Manufacturing it is a complicated process involving an enzyme called glucose isomerase, developed back in 1957, which can magically turn the glucose in corn into fructose. The resulting gooey, syrupy white substance is really, really sweet – so sweet that, in 1984, the soft drink world’s big brothers, Coke and Pepsi, began using it to replace sugar in their beverages. Before long, it had begun appearing in just about every type of processed food and drink imaginable, from yogurt, soup, and ketchup to bread, peanut butter, and jelly. Of course, like so many other things added or done to our food for economic reasons, no one really bothered to figure out if consuming all that high fructose corn syrup might be having any sort of adverse effect on the health of consumers – at least, not initially. However, as we’ve since discovered to our dismay, HFCS is sickeningly sweet – a major factor in the rapid rise of a whole slew of health problems now plaguing us, ranging from obesity and diabetes to fatty liver disease and pancreatic cancer. It may even be an impediment to those recovering from traumatic brain injuries. While the corn refining industry has done its best to try to convince us that their product has been unfairly blamed for the skyrocketing increase in such infirmities, independent scientific research has increasingly confirmed that their relationship to the ubiquitous use of HFCS is anything but purely coincidental. Before we even go into the bizarre background story of how GMOs were allowed to invade our farmlands and food supply (a subject on which much has been written), there’s something you need to know right up front. It’s the fact that whatever you may have heard about how completely “safe” genetically modified foods are, and how they’re essentially no different from those that haven’t been bioengineered, it is all part of an elaborate con job – one designed to protect the profits of both Big Food and the biotechnology industry at the expense of your family’s health. Perhaps the best indicator of how patently false those notions are comes from those consumers whose honesty you can always depend on – the animals in our midst. As Jeffrey M. Smith, Executive Director of the Institute for Responsible Technology, notes in his book, Genetic Roulette, when given the choice, animals usually make a point of steering clear of genetically altered foods. Geese that landed annually on an Illinois pond and habitually fed on an adjacent fifty-acre soybean field wouldn’t go near the Roundup Ready GM soybeans newly planted on half of the field, according to agricultural writer C. F. Marley. They continued to eat the conventional soybeans on the other side. It turns out there’s an awful lot we don’t know about the hidden effects of altering an organism’s DNA, and the consequences on any person or creature that happens to consume it. 133. Jeffrey M. Smith, Genetic Roulette (Fairfield, Iowa: Yes! Books, 2007), pg 59. 134. Ibid, pp. 32, 38-44, 48. What better, healthier way to start the day than with a steaming bowl of organic oatmeal, sweetened with organic honey and maybe topped with some organic strawberries? What could possibly be wrong with that? Well, how about the addition of a small amount of hazardous industrial waste? We know – it probably sounds ridiculous. Where would such an unlikely toxic badditive even come from? The oats? The honey? The strawberries that are supposed to have been grown in a chemical-free environment? The answer is: none of the above, but rather the water from your kitchen faucet you used to make the oatmeal. The same water that you my have taken the precaution of filtering against contaminants. But then, this particular contaminant isn’t one that’s there by accident, as so many forms of water pollution are. Rather, it’s been deliberately added in many locales for many years, in amounts ranging from 0.7 to 1.2 parts per million (ppm) for the purported purpose of protecting your children’s teeth against cavities. But isn’t fluoride something your dentist recommends – a substance found in most toothpastes and mouthwashes? How could it be that bad if the government actually encourages locales to put it in the water? The answer is intertwined with intrigue. What if we told you that it is precisely because fluoride is so toxic that it ultimately ended up becoming an added ingredient in our water, and, in turn, in various foods and beverages? In fact, it appears that the original purpose of adding fluoride really wasn’t to protect children’s teeth; instead, it was a question of “national security”, that is, to shield our nuclear weapons program – as well as a number of major industries – from liability for damage that this toxic substance was causing to people’s health and properties. Admittedly, that may sound rather perverse and more than a little bizarre, which may be one reason you’re not hearing it from major media outlets. However, the records that substantiate this claim would be hard to refute. Judging from the number of commercials on television for drugs designed to relieve various gastrointestinal ills, one can easily conclude that millions of Americans are afflicted with a variety of such problems, ranging from bloating and discomfort to serious conditions such as irritable bowel syndrome and ulcerative colitis. Could it be, however, that many of these maladies are the result of a single badditive, one that’s long been considered so safe by virtue of being “natural” that it’s even allowed in organic food, despite a growing body of scientific evidence that it’s anything but? The answer is a resounding “yes.” If you’re among those who suffer from chronic stomach issues, it’s quite possible that they might be alleviated simply by removing from your diet any processed foods that contain the ingredient carrageenan as has been attested to by some of those who have done just that…Carragenenan is used in a wide variety of processed foods and beverages, ranging from coconut water, low-fat dairy products, and dairy substitutes to nutrition bars, deli meats and precooked chicken It serves as a thickening agent, giving food a nice texture and fatty “mouth feel”. However, this tasteless, non-nutritive seaweed derivative has long been shown to cause harmful gastrointestinal inflammation and intestinal lesions. It can also be replaced with safer ingredients that serve similar purposes, such as guar gum (which FDA researchers back in 1988 found did not produce colon damage in lab rats, whereas carrageenan did91). In some instances, all it takes to achieve the same effect is simply to shake a product’s container before consuming its contents. 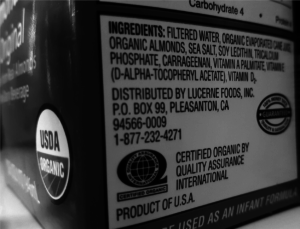 Yet carrageenan continues to be used by many food companies, including some that claim to have only “healthy” ingredients in their products. 91. The Cornucopia Institute, “Carrageenan: New Studies Reinforce Link to Inflammation, Cancer and Diabetes,” 2016, p. 18, http://www.cornucopia.org/wp-content/uploads/2016/04/CarageenanReport-2016.pdf. Picture of infant formula label courtesy of the Bonvies. The industrial preservatives BHA (butylated hydroxyanisole) and BHT (butylated hydroxytoluene), like artificial colors, are derived from petroleum. So it should perhaps come as no surprise that these substances, which are used to give a wide range of processed food a longer shelf life, have also been the focus of behavioral and other health concerns, including cancer, for decades, even as the FDA has continued to declare them safe for use in food products (as well as medicines and cosmetics). 78. The Feingold Association of the United States, “Let’s Not Forget the BHT, BHA, & TBHQ,” http://www.feingold.org/enews/03-2010.html. 81. The Feingold Association of the United States, The Feingold Bluebook, 2012, http://www.feingold.org/DOCS/Bluebook-phone.pdf, p. 44. Picture of BHT Molecule: This file is made available under the Creative Commons CC0 1.0 Universal Public Domain Dedication. One of the rules governing pharmaceuticals, and their advertising, is that side effects have to be listed. That’s the reason drug commercials include all those warnings about possible adverse reactions. …In an epidemiological study that appeared in the Journal of Applied Nutrition back in 1988, the late Dr. H. J. Roberts, a diabetes specialist from Palm Beach, Florida, analyzed reactions from 551 affected individuals and found that the most common included headaches, dizziness, confusion and memory loss, severe drowsiness, eye problems such as decreased vision, blurring, bright flashes and tunnel vision, severe depression, anxiety attacks, and extreme irritability. 41. Phone Interview with Mary Nash Stoddard. 44. United States Food and Drug Administration, “Reported Aspartame Toxicity Effects,” 2003, http://www.fda.gov/ohrms/dockets/dailys/03/jan03/012203/02p-0317_emc-000199.txt. 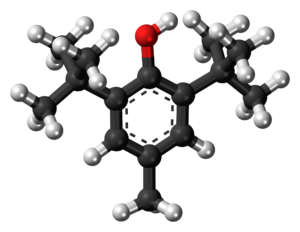 Picture of Aspartame Molecule is made available under the terms of the GNU Free Documentation License, Version 1.2 or any later version published by the Free Software Foundation. Of all the cheap tricks used by food processors to mass-market their commodities while compromising the health of customers, the use of synthetic dyes is the one that really takes the cake when it comes to being flagrantly fake. While such fakery in the bakery isn’t that hard to distinguish, what may be less apparent are many of the packaged products, ranging from cereals to salad dressings, which have had their appearance artificially enhanced through the use of coloring agents made from petroleum derivatives. Fortunately, a growing number of consumers are no longer falling for this pervasive form of food fraud – especially after being made aware of the behavioral effects it can have on their kids, for whom many of these prettied-up products are intended. A number of major companies, as a result, have begun to respond by simply dispensing with these deceptive dyes and replacing them with more natural substances. …In spite of… [such] measures, our processed food products have continued to be colored with synthetic compounds that research is increasingly revealing to be hazardous to our health (and especially that of our children) – badditives that only recently have begun to be replaced with substances more fit for human consumption. Picture of Food Orange 7 Molecule is made available under the Creative Commons CC0 1.0 Universal Public Domain Dedication. Like other substances of questionable safety, this most commonplace of metals came into widespread use in consumer products during the post-World War II period. In various forms, it was officially accorded GRAS (generally recognized as safe) status as a food additive by the FDA back in 1959—meaning that as something in “common use” by then, it required no clinical testing or risk-benefit analysis (which translates to: it must be safe, because people have been using it for a while without any immediately apparent ill effects). …Consumers were constantly reassured that there was never enough “proof” of an aluminum–Alzheimer’s association to be concerned about it, especially given that the victims were mostly older people and no direct cause-and-effect association was ever clearly established. Washington, D.C. – Today is officially Read Your Labels Day #RYLD! (Yes, we are a little nerdy when it comes to the work to which we have dedicated ourselves.) As promised, we bring you another selection from Badditives! The 13 Most Harmful Food Additives in Your Diet and How to Avoid Them. Today the Bonvies share a selection from their Introduction – a glimpse into what motivated them to provide such an important resource for managing what we feed to ourselves and our families. And if you like the “taste” you get from these selections, please support more important information like this by purchasing a copy of the book using the link above. Enjoy! The purpose of Badditives! is to acquaint you with what we have come to regard as the “worst of the worst” in terms of food ingredients, how they came to be an accepted part of our diet, the adverse effects they can have on your health and well-being, and how to steer clear of them. In most cases, of course, the best method of avoiding them is, whenever possible, to buy certified organic products, which not only are grown without chemical pesticides and fertilizers, but are free of most of the substances discussed in this book as well. However, even these aren’t perfect, as you’ll learn in the chapter on carrageenan, a “natural” ingredient that isn’t nearly as harmless as it’s made out to be. Many of the concerns you’ll find discussed in these pages have been addressed at length in some excellent books, documentary films, and a good deal of scientific and historical information—some of which is cited here and can also be found on the Internet. (Of course, “Internet rumors” and “conspiracy theories” are two of the favorite terms used by industry propagandists in an attempt to dismiss most of the kind of carefully researched information you’ll find here and elsewhere, as if conspiracies—defined as schemes devised by two or more people—were nonexistent, and the Internet was nothing more than a source of unsubstantiated hearsay.) Some of the books we would recommend for those of you who would like to learn more about these issues have been used as references and are mentioned in the chapters that follow. Hopefully, by the time you finish reading about the damage done by the motley gang of “badditives” to which these chapters are dedicated, you’ll realize that there’s a lot more to worry about in the products you might assume to be safe than merely the amount of sugar (which is actually used much less than it was in years past), sodium (a certain amount of which is actually necessary to keep us alive), and calories they contain. And once you start examining the lists of ingredients on food packages (if you’re not already doing so), you’ll see just how many of them are out there waiting for you and your family to ingest—often half a dozen or more strong in a single product. At that point, you’ll realize it’s well worth the effort to bar them permanently from your home, your life, and your body. Washington, D.C. – April 11, 201, marks 5 years since the very first CFH Read Your Labels Day #RYLD, the day that serves as a reminder to do everything you can to learn and understand what goes into the things you eat and drink. To commemorate this milestone, Linda and Bill Bonvie have offered to share portions of their new book Badditives! The 13 Most Harmful Food Additives in Your Diet and How to Avoid Them. Starting on 4/11/17, once a week the Bonvies will share new content from this excellent new resource in the battle to be informed about what we eat, drink, and feed to our families. Feel free to visit this page weekly to check if the latest addition has been posted, or wait to receive the email from us that it is ready to review. Don’t want to wait? Use this link to order a copy for yourself: Badditives! The 13 Most Harmful Food Additives in Your Diet and How to Avoid Them. Journalists Linda and Bill Bonvie have been on the food beat for a number of years—most recently as the writers of twice-weekly articles for Citizens for Health’s blog Food Identity Theft from 2010 to 2015. Their articles laid out in detail the debasing of the American food supply, for example, by manufacturers using industrial sweeteners such as high fructose corn syrup (HFCS), “flavor enhancers” like monosodium glutamate, and other brain-damaging excitotoxins and artery-clogging trans fats, all of which have been directly linked to the unprecedented health problems that now plague our society. The articles formed the basis for Badditives! 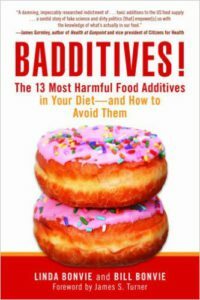 The 13 Most Harmful Food Additives in Your Diet—and How to Avoid Them, which zeroes in on the worst of the unnatural substances currently found in processed foods, how they got there, and the ways in which they impact our health (beginning with the first of the alphabetically ordered chapters, which reveals links between aluminum and Alzheimer’s disease). Such ingredients give mechanized foods false color, taste, texture, and stability. Without them most of such processed products would taste bland and appear pale, limp, and inert. Various performance-enhancing chemicals, however, can turn these pasty, unappealing, nutrition-deficient discharges from processing machines into the brightly colored, happy-tasting, feel-good stuff we put into our mouths and call food. They carry real risks, as do other substances covered in the following pages, such as GMOs and fluoride, that adulterate our food for even more devious reasons. Along with chronicling how these badditives came to be accepted by federal regulators, the authors advise you on how to banish them from your diet and thus avoid the pitfalls of the easy, lazy, incurious shopping habits that Big Food encourages. Stay tuned for more – and don’t forget to commemorate Read Your Labels Day #RYLD by being extra-vigilant about examining what Big Food is putting into what you eat and drink. If you find anything especially egregious, or you want to share examples you’ve seen of what we share from the Bonvies’ book, share it with us and other Citizens for Health on Twitter (@citizens4health) and Facebook. Back in April we and our allies at Consumers for Dental Choice reminded you that the FDA had failed to act on their self-imposed deadline of December 31, 2011 for announcing their plans to address mercury in dentistry. We urged you to take action to remind Jeff Shuren, Director of the Center for Devices and Radiological Health, of his agency’s promise. Consumers for Dental Choice continues to lead the way on this important issue and has reached out to CFH to help spread the word about the nation’s #2 amalgam maker, Dentsply, and its failure to respond to a “wake-up call” provided last month by 23 organizations and religious orders from around the US, and the world. At a news conference in its headquarters city of York, Pennsylvania, these organizations presented a letter urging Dentsply to set a timetable for phasing out mercury amalgam. Please sign the petition by clicking here. Forward this alert to your friends and family. If you work in dentistry, have your patients and colleagues sign it too. Share it on your websites, Facebook pages, and blogs. Remember: every single signature is important . . . the more signatures, the more impact. Dentstply shareholders released an open letter to Dentsply, regarding what they see as the company’s failure to adequately address the environmental health risks of the continued use of mercury, a neurotoxin, in its dental products. Dentsply can operate quietly in picturesque York PA…or it can manufacture mercury fillings. But it can no longer do both. Help us persuade Dentsply to stop churning out mercury fillings – fillings that add mercury to our bodies….pollute our environment…damage our teeth…and contaminate our dental offices. It’s time to demand action from a leading source of all these problems: Dentsply. On November 16, a number of nongovernmental organizations (NGO) urged the World Health Organization (WHO) to end the use of mercury in dental care procedures. More than 70 NGOs signed a letter that was presented to the WHO that called for a ban on the use of dental mercury in procedures such as fillings. Mercury can damage both the environment and human health. When mercury transforms into highly-toxic methylmercury, it can pass through blood-brain barriers. Mercury can become especially dangerous for pregnant women and children when it is in this state. The American Dental Association says that thanks to advances in dental care, dentists can now use ceramics and compounds instead of traditional dental materials. In an escalating chorus of evidence from around the globe, emerging scientific research is providing direct links between amalgam dental fillings and childhood vaccinations and toxic mercury exposure. Various serious immune system and mental disorders such as Alzheimer’s, ADD/ADHD, depression, fibromyalgia, headaches, insomnia and Chronic Fatigue Immune Dysfunction Syndrome/Epstein-Barr Virus, are now believed to have a causative source from the inhalation, ingestion and absorption through mouth and nasal tissue of vaporized mercury contained in tooth fillings, and autism from the ethyl mercury (thimerosol) preservative used in childhood vaccinations. We’ve all heard the term ‘quack’ when reference is made to an individual with no formal training or experience who tries to represent himself or herself as a medical professional. However, the majority of people in the United States don’t realize that this term was first used in 1812 to refer to the individuals who developed and sold amalgam dental filling material as an affordable and readily-available alternative to gold fillings for the mass public. Originally opposed by dental societies of the era due to mercury’s known neurotoxic effects associated with the metal’s use in the hat-making trade, some dentists found amalgams of mercury (also known as quicksilver or quecksilber) in combination with silver, copper, tin and/or zinc to be a vast improvement over the molten lead, tin, and gold being used at that time. The quacks, as the mercury-users were called, found mercury amalgams cheap, easy-to-use and hard-setting. As the use of quicksilver increased, quacks formed powerful dental societies and the opposing groups died out.